Google announced ELS in 2016, making the service available in Estonia and the UK first, and gradually expanding to 14 countries worldwide. Whereas current emergency solutions in the US use cell tower location (which can provide a radius of up to several kilometers) or assisted GPS (which uses satellite and cell tower data, but can fail indoors), ELS uses the same location tech as seen in Google Maps. This includes cell, GPS, and Wi-Fi signals, as well as info from other smartphone sensors. ELS takes this more robust information set and uses it to define the location on the device, then sends it directly to emergency services when a 911 call is placed, without passing through Google servers. The Mountain View search giant reports that its data decreases the average uncertainty radius from 522 feet to 121 feet. In all countries where ELS is available, Google partners with wireless carriers and public safety organizations to provide the service, which is available on 99 percent of Android smartphones (anything running Android 4 or higher — no need for a separate app or update). In the US, emergency tech firm RapidSOS provides ELS locations directly to emergency communications centers through its secure platform, which is integrated directly into existing software at emergency centers in the US. 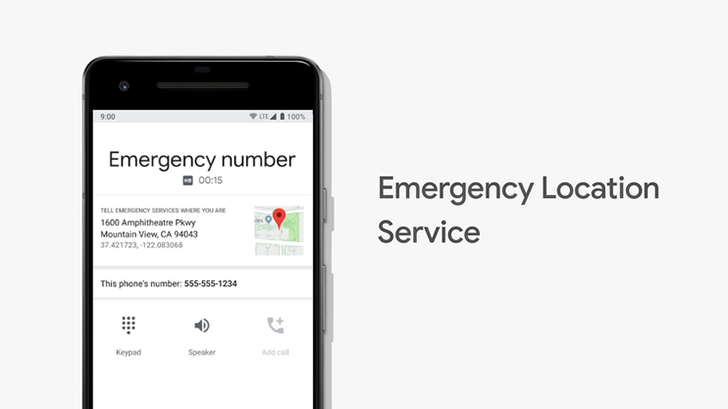 Google's partnership with T-Mobile works similarly; when customers make a call, their Android phone can send their location to the emergency center. While T-Mobile already had a way of doing this, ELS will help deliver higher accuracy in a shorter time. Support is also available in the US Virgin Islands, through a partnership with emergency technology company West and regional wireless provider Viya. Google further notes it will continue to expand in the US and to additional regions and countries, which is great news considering the steady increase in weather-related disasters causing strain on an already imperfect system. ELS may have taken a while to get here, but thank goodness it exists now.